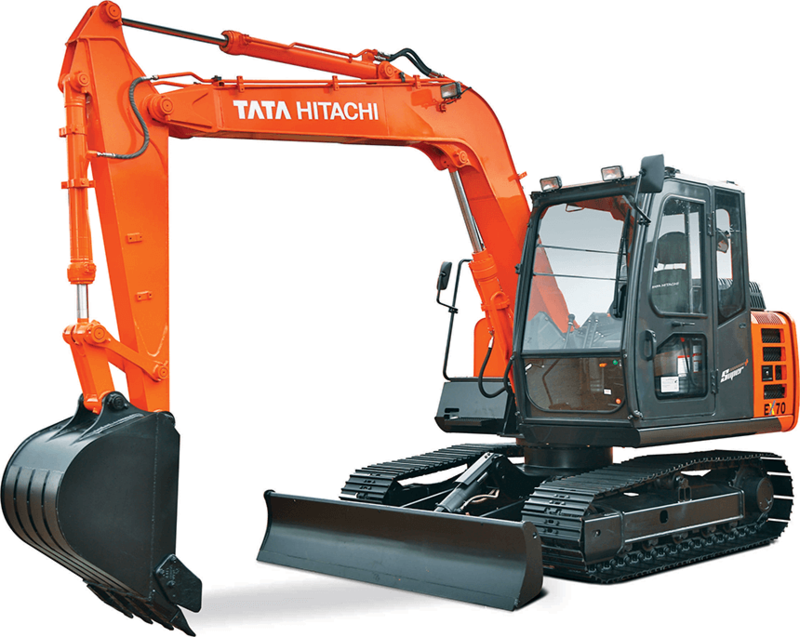 Tata Hitachi’s EX 70 Super+ Series is a time tested, reliable, productive hydraulic excavator that operates proficiently in tight spaces while minimizing the operational costs. Hitachi’s Optimum Hydraulic System allows for easy smooth and swift combined operations which translate into a superior machine performance. Advanced features such as the Fuel Saving Pump System enables superior performance in inching operations thereby eliminating losses. Hitachi’s original plot circuit, with shockless-regulator, features responsive and precise control. 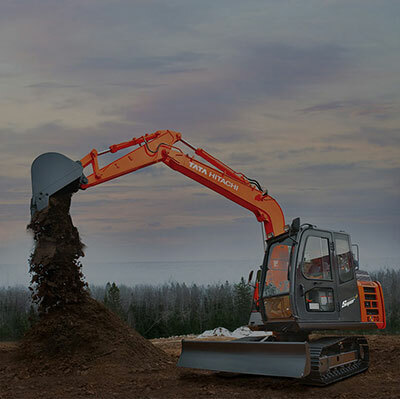 The EX70 Super, a result of Hitachi’s world class design and R&D capability displays unparalleled versatility in its compatibility with a wide range of attachments tailor made to match the Indian operating conditions. EX70 Super is powered by reliable & fuel efficient Tata 497 NA engine delivering 55 PS @2000 rpm. Power Mode: Selection feature makes optimum use of engine power by sensing the changes in the engine speed that occur with each new load. Auto Idle & Auto Declaration: Features provide an increased saving in fuel thereby lowering operational costs. EP Mode: Reduced engine speed for light duty operation for fuel savings, without compromising on production. HP Mode: Higher engine power to increase productivity for quicker completion of the job. EX70 Super, with an installed base of approximately 10,000 machines working in a wide variety of applications in various geographies across India, has been commanding the highest resale value in its class. Auto idle, auto declaration and mode selection result in fuel saving thereby lowering operational costs. 2500 Hrs hydraulic oil change interval reduces the operation cost of the EX70 Super. The superior design of the EX70 Super ensures ease in serviceability thereby leading downtime for maintenance resulting in higher profits for customers.